April baseball is almost an oxymoronic thing, as those showers that bring May flowers bring headaches to baseball fans. Delays, crowded concourses, and ultimately postponements. I learned this the hard way on my trip to Chicago for the Opening Day game between the White Sox and Tigers. Travel requires gas, of course, and a car charger. On your way to the park, you should definitely stop for food. Sure, the stadium is bound to have glorious nachos and soft pretzels, but the prices are steeper than a hike into the Rockies. Also, if you’re like me and your nose is a runner, bring a brand new box of tissues for the sprint that is a three-hour drive to Chicago. I also have two full-sized spares in my trunk, just in case. Also a necessity for travel – mocha drinks. Knowing the forecast projected rain and cooler temps, I wore layers. An under-armor type short-sleeve under a long sleeve, with a jersey on top of that and a water-resistant coat. I also layered sweatpants under my slacks. I wore my thick water-resistant shoes from work, too, for puddles. What I wasn’t quite prepared for, however, was the game being postponed until the next day. We tried to get a hotel room once we cleared out Tuesday, but none of the hotels would let 18-year-olds check in. We did find a creative hostel in Wicker Park, downtown Chicago. Hostels are dorm-type buildings that offer a more communal environment and feels more like being at a campground than a hotel. It was a unique experience, and we met some interesting people, including a group of friends who were DJs traveling to their first gigs. My back is hurting a bit now, though, from those beds. 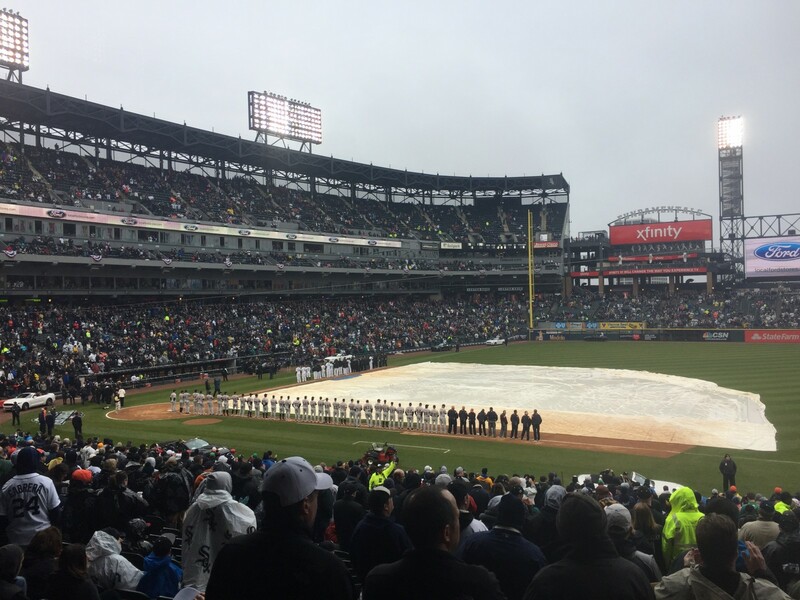 [/media-credit] The White Sox did the opening ceremony amidst rain, with the tarp remaining on the field. The game was later cancelled. Opening Day is a classic experience. There are quite a few people crowding the park, excited for the pop of the glove at first pitch, and the sweet smell of roasted almonds as they cheer on their favorite team once more. Mother Nature unfortunately stomped on our hopes and everything I thought I knew “how to” do for Opening Day turned into a little bit of improvisation. Then I got to try it again as we headed back to the ballpark for take two. 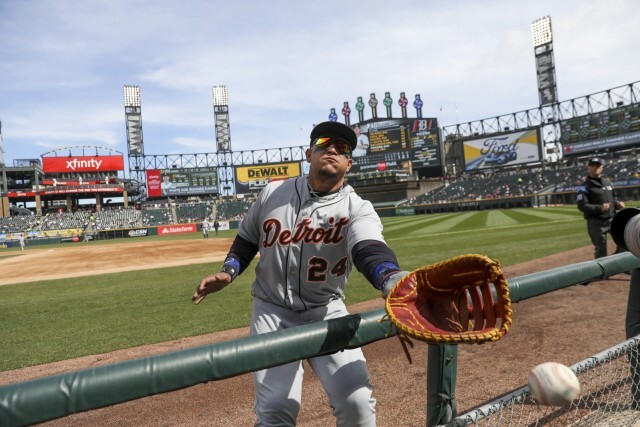 Update: The Tigers conquered the White Sox 6-3 about 25 hours after the previously scheduled game time.